Year 12 students will be released from the normal school timetable from Monday 24th June until Friday 28th June 2019. The purpose of this scheme is to provide a realistic and relevant insight into the world of work and provide valuable experience for personal statements and CV’s as well as prepare students more effectively for their lives beyond TBSHS. In seeking a placement, students should consider carefully their future career ambitions as universities and employers increasingly require candidates to have built up a portfolio of work experience which is relevant to their chosen course or employment. As part of the learning experience, we expect students in consultation with parents/carers, to arrange a suitable work placement. If your son/daughter experiences difficulty in sourcing a placement, they can of course make an approach to the school’s Careers Advisor and Work Experience Coordinator, Claire Jonas who has an extensive database of contacts built up over the years; it may be that she can put them in touch with a prospective employer or offer further advice for research. Naturally, when contacting prospective employers, they will need an up to date CV as well as a covering letter. In the past, we have found the most effective placements are those which are arranged by students through relatives or friends and we hope they will begin the process as soon as possible on receipt of this letter. 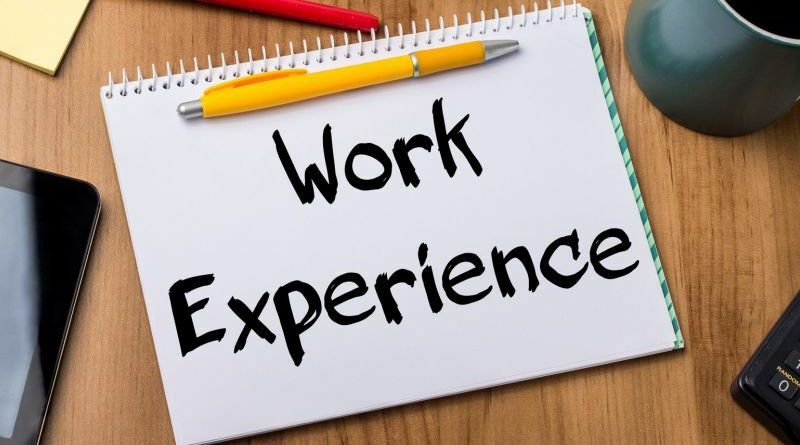 Once an employer has confirmed they are able to offer work experience to your son/daughter, please ask them to complete a Placement Request Form. It is very important that you ascertain the Public Liability & Employers Liability insurance policy numbers and company name as we cannot allow the work experience to proceed without this information. Students should also complete the Risk Assessment Form and return both forms together with the completed Parent Consent, to Claire Jonas. Students are not allowed to undertake their work experience abroad and placements should not be with employers for whom the student already works. Students will of course, be expected to behave and dress in an appropriate manner and make their own transport and lunch arrangements. Finally, we expect all students to have returned their completed paperwork to school by Friday 5th April 2019. Should you require any further information, please do not hesitate to contact me or Claire Jonas, the school’s Work Experience Coordinator (claire.jonas@tbshs.org). We look forward to working with you to ensure that Year 12 Work Experience is a success and thank you in advance for your support.